The significant cases listed below are only a partial list of noteworthy personal-injury cases we have won on behalf of our clients in California and across the nation. Many of our largest personal injury cases have resulted in confidential settlements that are not disclosed to the public and therefore are not shown here on our website. A City of San Francisco Municipal Railway truck caused a crash that killed a 4-year-old girl and injured and severely traumatized her mother, the little girl's best friend and her best friend's grandmother. 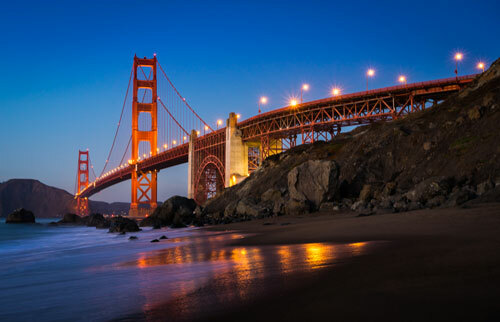 The jury awarded over $27 million in compensatory damages against the city of San Francisco after determining that the truck's driver was negligent and that he was 100 percent responsible for the accident. An automobile accident involved common law alcohol liability case after a plaintiff sustained fatal injuries. A motorcycle accident occurred when a construction defect was left in the roadway, causing the motorcyclist to lose control and be struck by a passing automobile. After 65 depositions and two years of litigation, the case was settled two weeks prior to trial. An automobile accident involved a defective seat belt. The plaintiff child was a passenger in an automobile operated by his parents. The vehicle was involved in a head-on collision, causing traumatic brain injury to the child. This automobile accident was caused by a driver who was over-served alcohol at a restaurant/bar. Fatal injuries sustained by one passenger in vehicle hit by drunk driver and severe head injuries sustained by another passenger. Defendants claimed passengers entered vehicle with a drunk driver raising contributory negligence issues. This automobile accident was caused by a driver under the influence of alcohol who attempted to turn left in front of plaintiff, striking plaintiff head-on. The plaintiff sustained severe injuries including a broken knee which required surgery and facial lacerations. The automobile accident in this case happened when an intoxicated driver rear-ended a semi truck, causing severe injuries to his passenger. The driver claimed passenger, who was a bartender, was at fault for over-serving him prior to the accident. An automobile accident involving a truck and motorcycle caused the plaintiff to sustain severe injuries to foot requiring multiple surgeries. An automobile head-on accident caused the plaintiff to have multiple fractures to both legs and severe facial lacerations. This automobile accident involved a truck and automobile. The plaintiff sustained multiple injuries. This automobile accident was caused by negligent high-speed driver. The plaintiff sustained severe back injuries and facial lacerations. A 70-year-old woman who was a resident of a nursing care facility was dropped by an attendant who was attempting to transfer her from the bed to the wheelchair. She sustained serious injuries which ultimately resulted in her death. The nursing home was found to be in violation of the care plan. An 80-year-old woman who was a resident of a nursing care facility had prior medical problems, including multiple strokes. She died as a result of negligence in failing to follow the care plan. Defendants claimed she died from complications from her strokes. A vehicle crash caused by tire tread separation resulted in critical injuries being inflicted upon the accident victim. In a pole vaulting accident, a high school student sustained severe head injuries. A fatality involved a defective part that caused a helicopter to crash onto the plaintiff. The deceased was survived by two children and his wife. A faulty hip implant device caused pain and subsequent surgeries for two plaintiffs. A cheerleader was involved in an accident because of negligence due to inadequate supervision and safety procedures resulted in severe injuries inflicted upon a minor. This elevator maintenance case resulted in judgment against the elevator maintenance company. The building owner settled prior to trial for an additional $150,000.00, and the plaintiff sustained back injuries requiring surgery. Medical negligence led to a catastrophic brain injury. Preventable long term injuries was inflicted upon a minor due to careless health care treatment. * DISCLAIMER * The cases and results set forth herein are a sampling of results achieved on behalf of clients of the Nagelberg Bernard Law Group. This is a partial list and does not constitute a promise, guarantee or warranty of any kind. Please remember that these cases and the results achieved were determinant on many factors, and results differ from case to case depending on the circumstances particular to each instance.